Heavily reinforced version with continuous steel rod at top edge. Bail handle securely wraps around this rod and cannot tear out as on other designs. Dust-tight folded seams and handle lip on bottom edge for easy pouring. Best coal hod I have ever had. 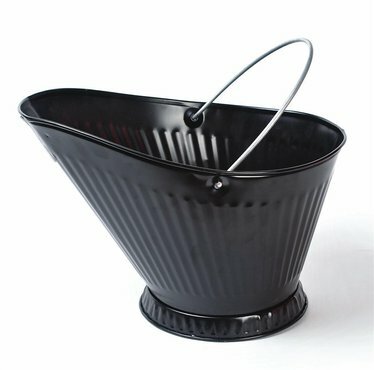 Sturdy and easy to handle, attractive design, and the 12 quart capacity holds a lot of ashes. If you have a fireplace, then you need this fine coal hod. Makes life a little easier.